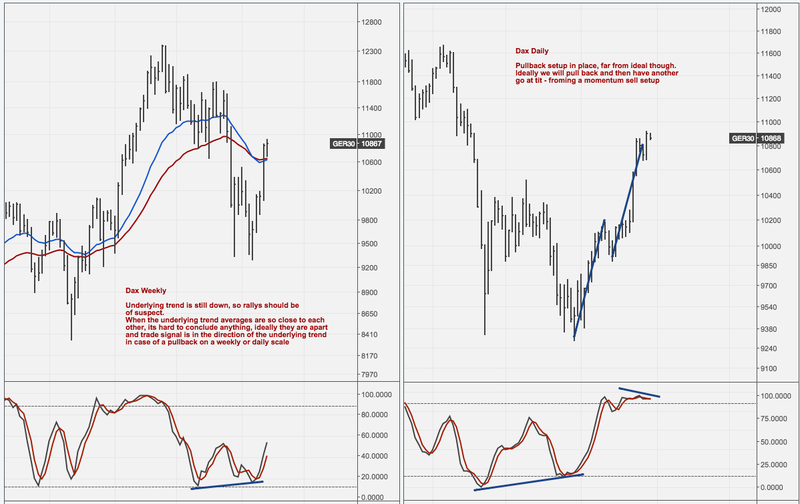 Indeces starting to soften up, momentum weakening but we need a pullback and a rally to get a clearer momentum picture. 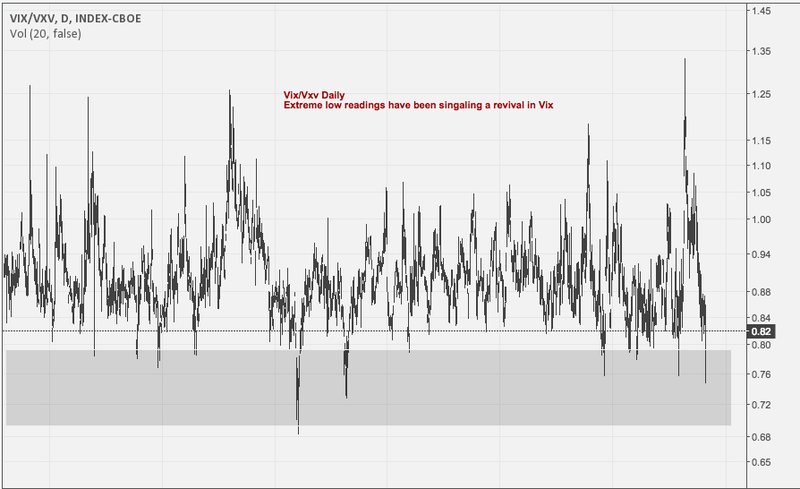 Vix is coiling for a move, Vix/Vxv ratio interesting. Pullback setup in place, far from ideal though. Measured move has also run its course. Todays up move is of suspect. 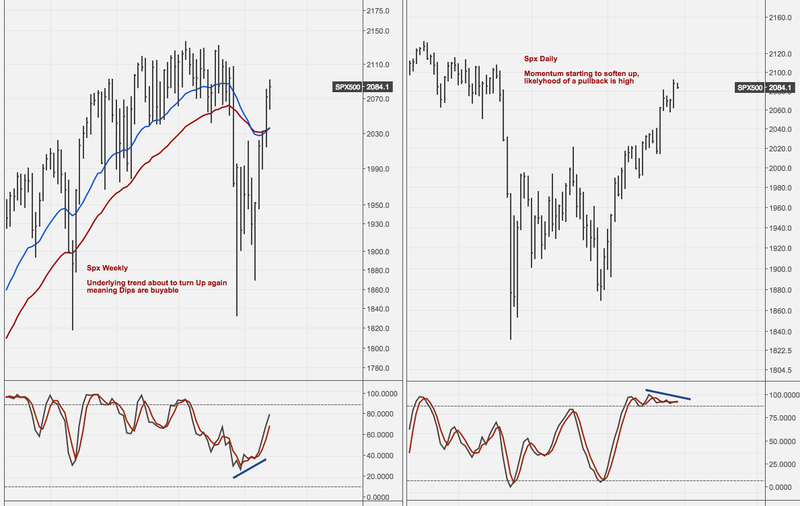 A lot of people are following the 2011 analog, which as proven right, so far. 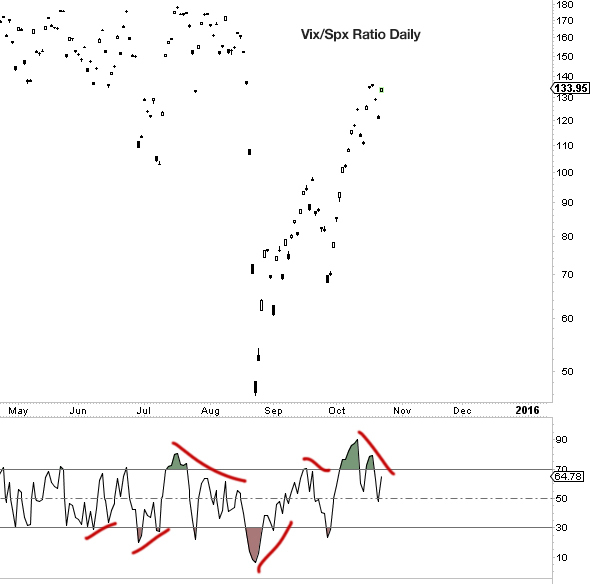 Weekly momentum setup played out and we got a swing up. 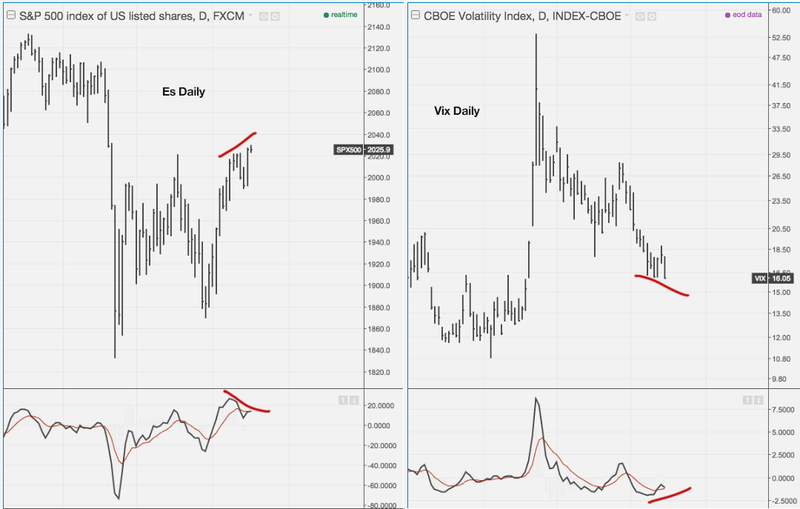 Now, daily starting to look weaker, theres a momentum sell signal about to be in place, might need a day or two to set up properly, theres a corresponding buy long setup in Vix forming aswell. 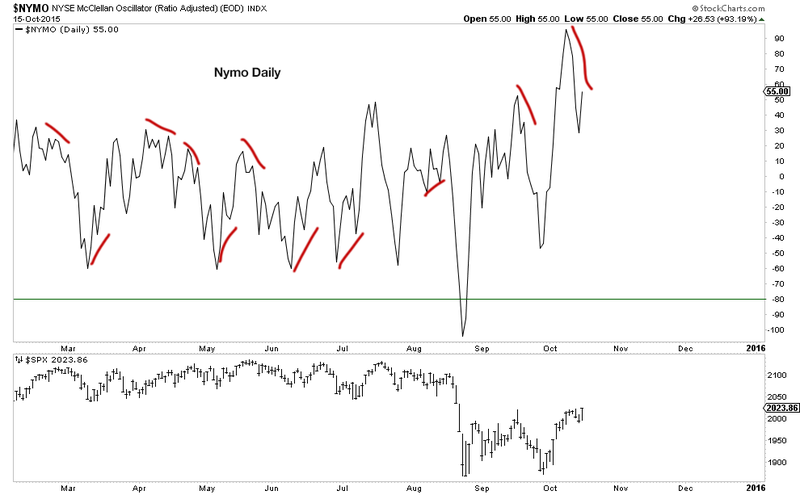 Usually we should see at the very least a soft patch when daily momentum sell signal is in place. 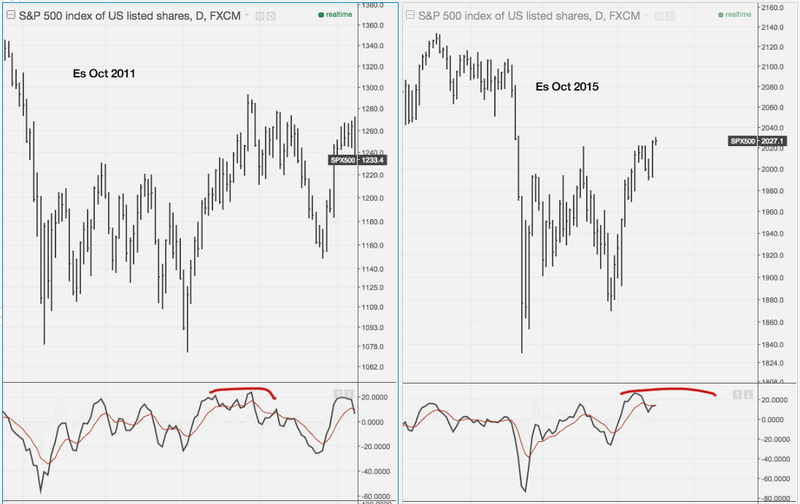 Underlying trend in Es is still down, but not by much anymore. 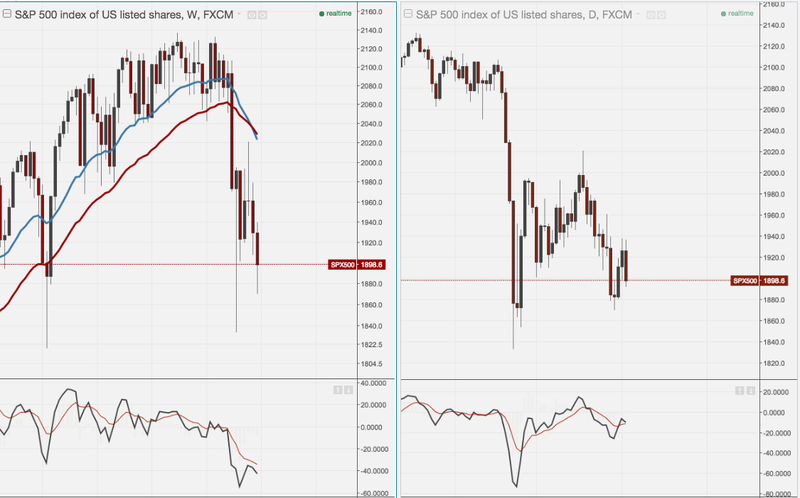 Es Daily is looking good for the long side. 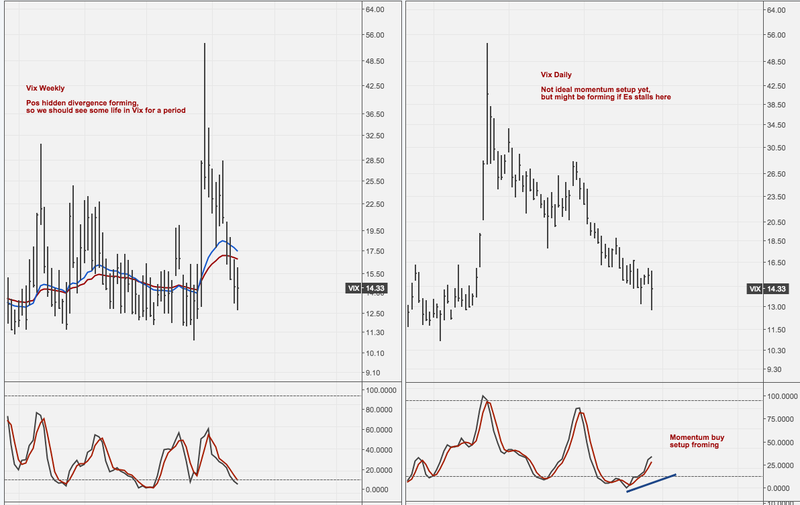 Vix aswell showing signs of taking a breather.